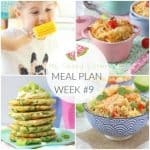 Last week I decided it was time to get more organised with my family meals in an effort to save some money on our grocery bills, eat a little healthier and also waste less food. I used to be really good at meal planning but over the past few months I slowly slid back into old habits and would often find myself scrambling around at 6pm, looking for something to cook for dinner! I did a Facebook Live last week to show what I planned on cooking for that week and I’m really pleased to say I actually stuck to that plan. To help me stay accountable over the coming weeks I’ve decided to share my meal plans here, and also to continue with my weekly Facebook Live Videos as I got some really great feedback on those. So here’s my Meal Plan for this week. If the recipe is from my blog or from somewhere else online I will link to it for you to see. Sunday: We have friends coming over so it will be either a BBQ or a Roast Dinner depending on the weather! Lovely recipes here! I’m feeling inspired to get planning! Will let you know how I get on! I am loving your blog . 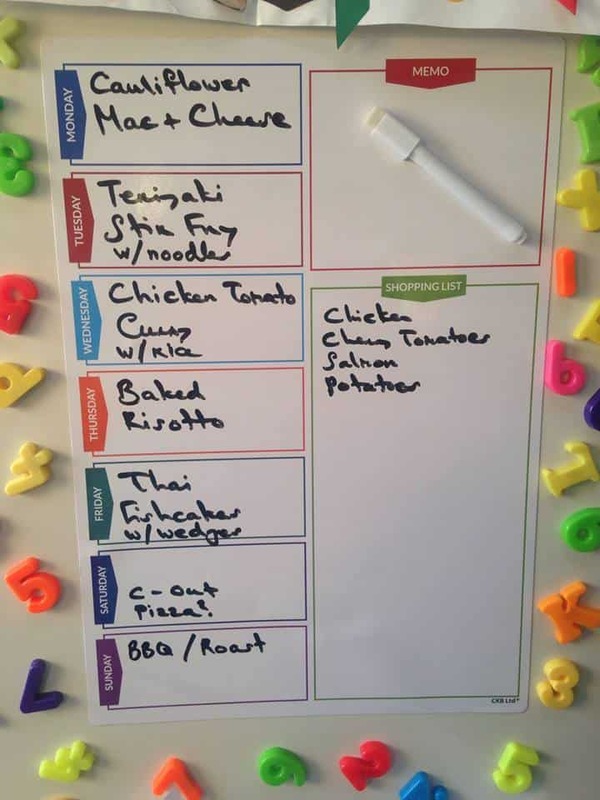 Where did you buy the chart or white board thing ? Hi! I got it on Amazon! Hi Ciara, how do you make your baked risotto? My fussy three year old loves risotto and I feel like a baked one would be a lot easier for me to make than a traditional one : ) I tried a slow cooker version but it wasn’t nearly as good. Hi Diana, I usually start off by roasting some cherry tomatoes in a casserole dish with onion and garlic. I then add in the risotto rice, vegetable stock and you can also add chicken at this stage if you like. Then towards the end I put some frozen veggies in, and sometimes some seafood too. I will blog the recipe soon! Thanks for the shout out for my Thai fishburgers Ciara. I love the look of your cauli Mac n’ cheese. Need to try that one on the kids! I literally CANNOT wait to try this on Friday! Im super excited!